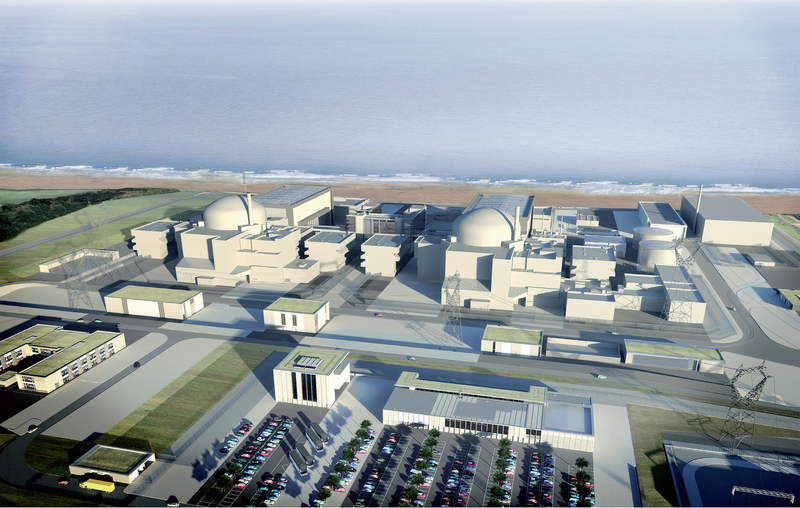 Hinkley Point C (HPC) in Somerset is a £20 billion project building the UK’s first nuclear power station since 1995. The full construction of the new power station depends fully on slick construction of all enabling works. Attracting and retaining the vast and specialist workforce, peaking at 5,600 people, was a critical dimension in EDF Energy’s planning process for their construction site accommodation. Smart design is the key to delivery of a best value high quality scheme; Premier Modular offered EDF Energy a value driven accommodation solution, combining design flexibility with the benefit of standardisation of as many components as possible. 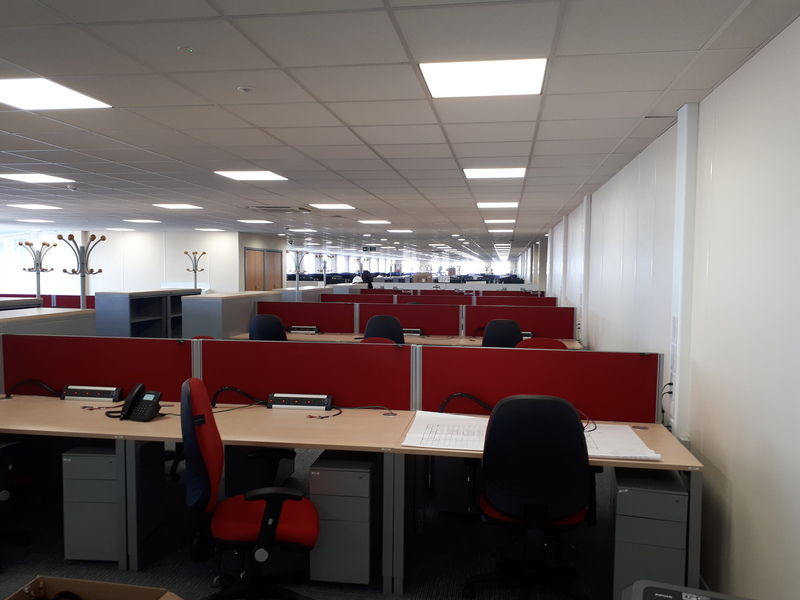 This solution was developed over a period of over 6 months to fine tune the solution with all relevant stakeholders; focussed on provision of best in class, functional working environments that would keep office staff operating at a high efficiency level, whilst providing unrivalled quality of welfare facilities. The space is open plan and airy, achieving the design brief initially developed. The use of BIM was a key driver to link all elements of the process, with Premier operating at BIM Level 2. The key benefits derived from this process were seamless data flow from costing through delivery to aftercare, improved design detailing with clash detection, leading to improved efficiencies at both factory and site. Data in place for the 10 year initial life of the buildings provides great information for the building managers. Premier Modular was appointed as a Tier 1 Principal Contractor, operating under the full ONR (Nuclear) licence. 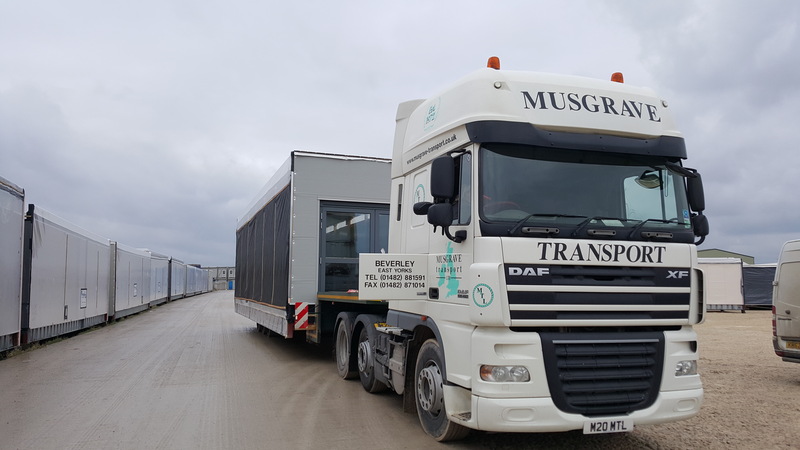 At the time of entering contract, this was the largest modular project ever awarded in Europe, housing all the management, technical and site personnel required during the construction phase of the much needed nuclear power plant. Premier worked closely with the stakeholders to ensure that as soon as the Final Investment Decision was signed off, provision of the complexes could begin, fully embracing the HPC values throughout their delivery of the scheme. Recognising that health and safety values were of critical importance to the project and that the works delivered by Premier as an offsite specialist contractor are viewed as high risk activities, Premier identified that working at height was a key area that we could focus on to minimise any risks. Based on this an innovative lifting frame and safety carousel was designed for use. The true value of the safety carousel’s importance in reducing the potential for accidents and injuries on site was acknowledged when it received the Best Safety Innovation Award at the 2018 HPC Excellence Awards. 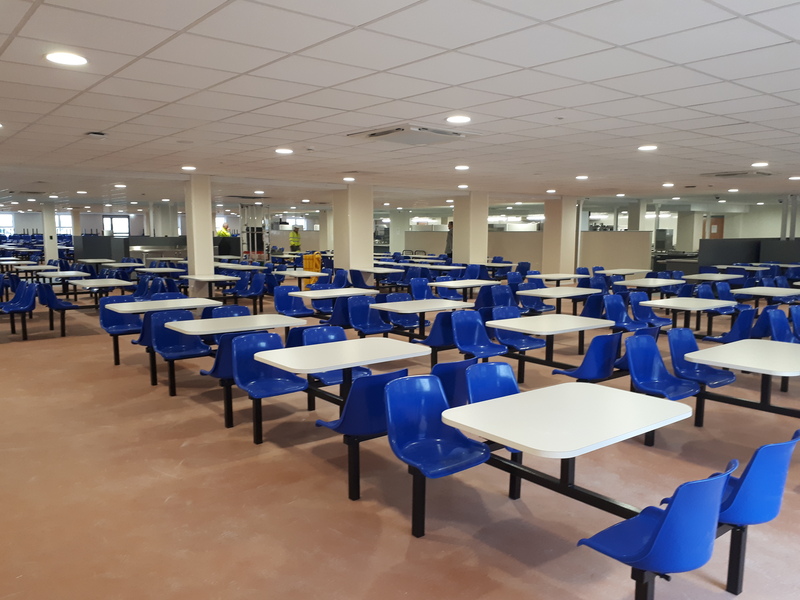 The three complexes have been strategically placed across the vast site to maximise the efficiencies of the construction personnel and each building provides welfare facilities for over 2000 workers and office facilities for 800 people. Each building includes a 700 seat restaurant, locker rooms, medical facilities and showers. 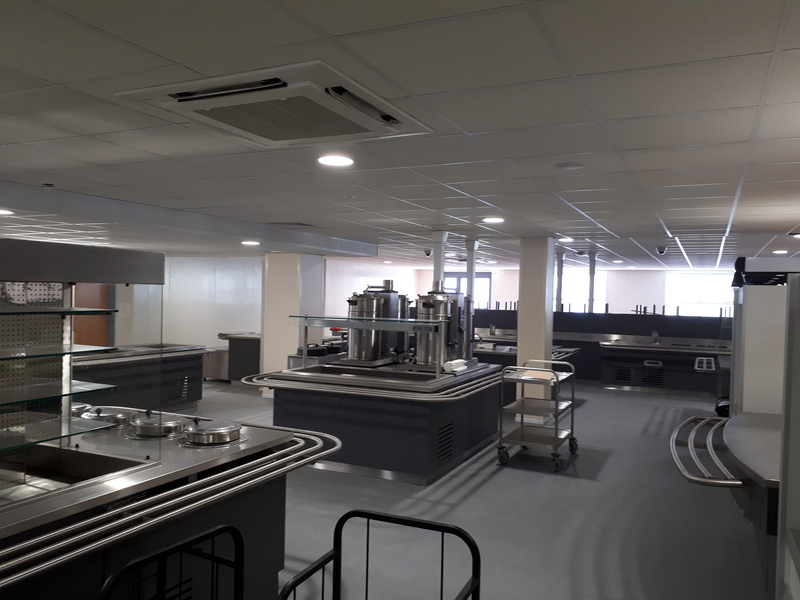 The facilities provided by these three complexes were an essential part of the enabling works for the wider project as the required workforce could not be brought onto the site until the catering, welfare and office facilities were in place. Premier was delighted to achieve the first project critical path milestone on site to enable progress of the main civil works. Whilst the buildings are for use during the 10 year construction phase of the power plant, quality has been at the forefront of all design and planning as they have been constructed as permanent buildings. They have been designed to ensure their robustness will withstand the conditions unique to the coastal environment of the site. 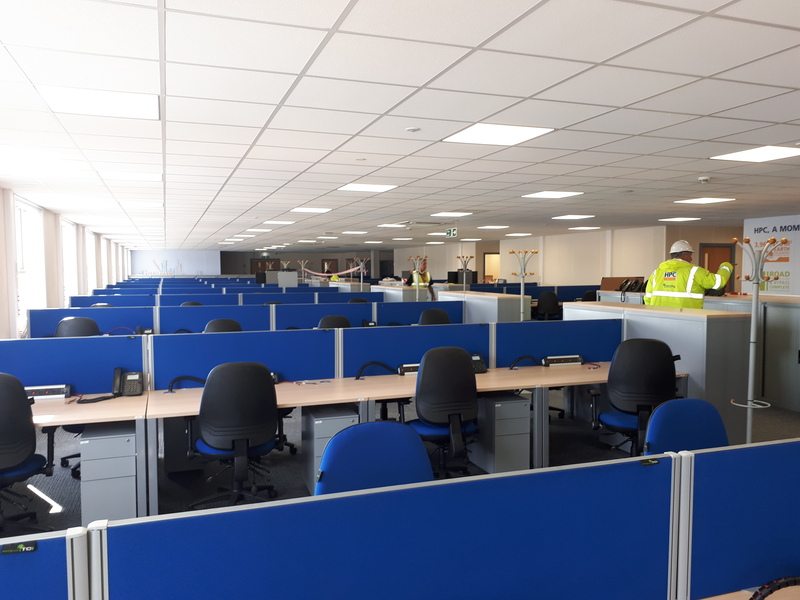 After completion of the construction cycle, part of the north building will be re-purposed to remain as high quality offices for use on the permanent site. Reliability of supply was fundamental in EDF Energy’s selection of Premier as their solution provider; the fact that Premier has been operating for over 60 years, is a strong, financially sound business backed by a large international group, Waco International Pty, gave a strong comfort base to build upon. 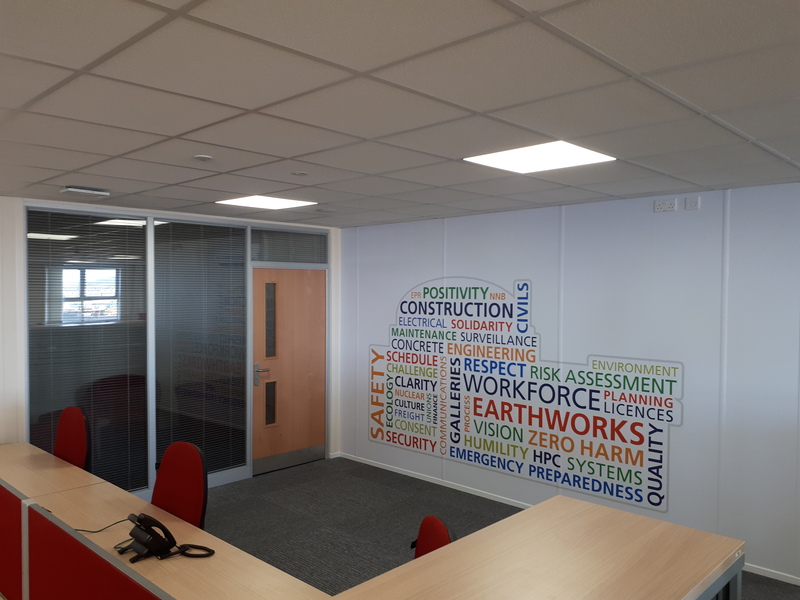 Premier has a strong pedigree in both project management and installation expertise, whilst keeping their manufacturing excellence at the heart of all they do. Premier’s large 22 acre site and five factories in East Yorkshire are managed with lean manufacturing principles, ensuring that quality, safety and programme are always on track. 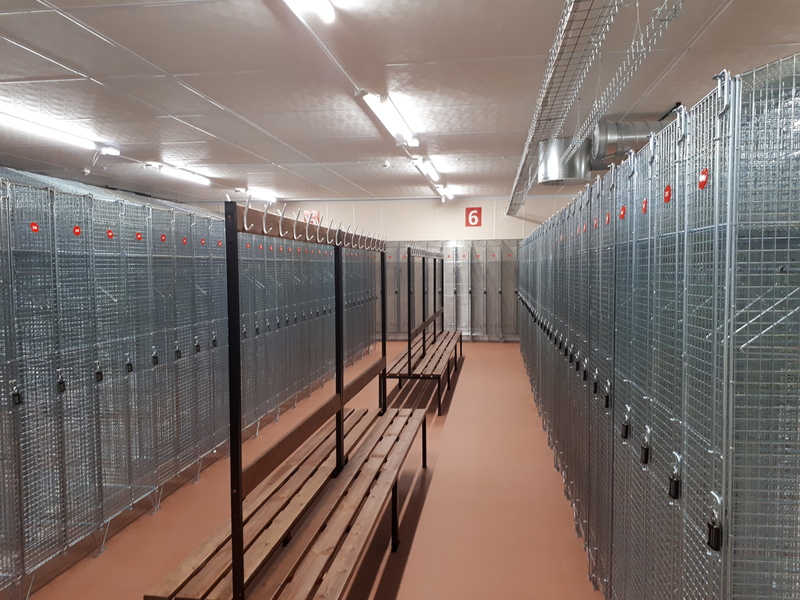 The scale of the facilities combined with the management philosophies and robust supply chain ensured that capacity was not an issue in delivering such a large project, whilst still supporting all other clients with their business-as-usual. All the modules for the HPC project went through one production unit, leaving the remaining four production units for delivery of business-as-usual schemes. The overall scheme required 38,000m2 of buildings to be manufactured. Premier manufactured for this project alone over 130m2 a day using only 20% of Premier’s production capacity. The standardisation of various elements of the product maximised efficiencies throughout the whole process, including through the factory, the supply chain and the transportation of the modules to site. 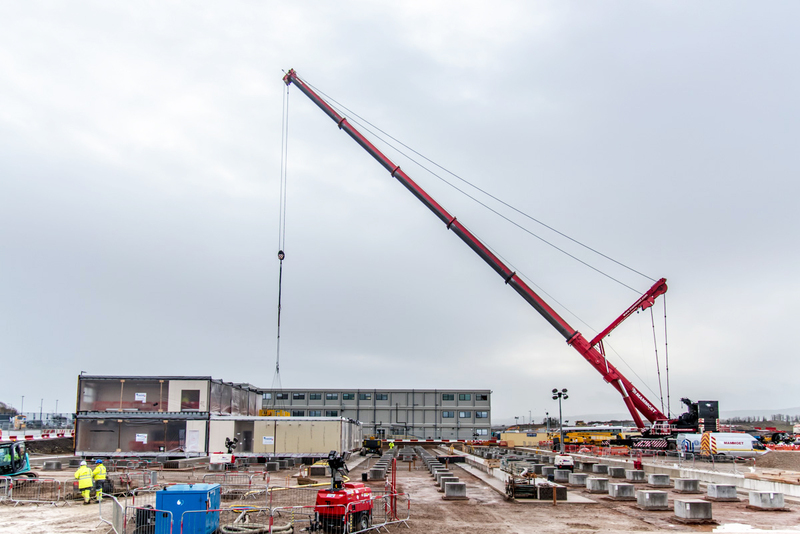 The size of the scheme offered increased work opportunities both local to our manufacturing site in East Yorkshire and to the HPC site in Somerset and enabled Premier Modular to offer additional apprenticeships. 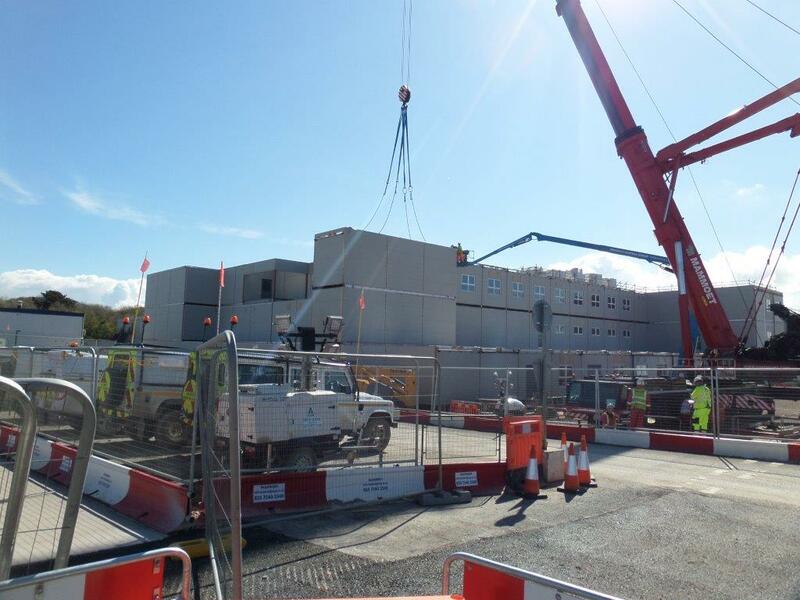 The stringent complexity of working under full Nuclear Licence was managed by Premier’s experienced project teams, ensuring the logistical installation of the buildings were meticulously co-ordinated, the workforce was fully trained and site access controlled. The quality control has been at a stringent level with the need for exceptional and detailed record keeping. It was a real accolade that the Unions on site recognised the welfare accommodation as the best in Europe, ensuring EDF Energy continues to attract and retain the key staff needed for the next 10 years.